Instant New York Times Bestseller A New York Times Notable Book of 2016 A Time Magazine Top 10 Novel of 2016 A Times Literary Supplement Best Book of 2016 ***“*Dazzling . . . A profound novel about the claims of identity, history, family, and the burdens of a broken world.” —Maureen Corrigan, *NPR’*s “Fresh Air” In the book of Genesis, when God calls out, “Abraham!” before ordering him to sacrifice his son, Isaac, Abraham responds, “Here I am.” Later, when Isaac calls out, “My father!” before asking him why there is no animal to slaughter, Abraham responds, “Here I am.” How do we fulfill our conflicting duties as father, husband, and son; wife and mother; child and adult? Jew and American? How can we claim our own identities when our lives are linked so closely to others’? These are the questions at the heart of Jonathan Safran Foer’s first novel in eleven years—a work of extraordinary scope and heartbreaking intimacy. Unfolding over four tumultuous weeks in present-day Washington, D.C., Here I Am is the story of a fracturing family in a moment of crisis. As Jacob and Julia Bloch and their three sons are forced to confront the distances between the lives they think they want and the lives they are living, a catastrophic earthquake sets in motion a quickly escalating conflict in the Middle East. At stake is the meaning of home—and the fundamental question of how much aliveness one can bear. Showcasing the same high-energy inventiveness, hilarious irreverence, and emotional urgency that readers loved in his earlier work, Here I Am is Foer’s most searching, hard-hitting, and grandly entertaining novel yet. It not only confirms Foer’s stature as a dazzling literary talent but reveals a novelist who has fully come into his own as one of our most important writers. 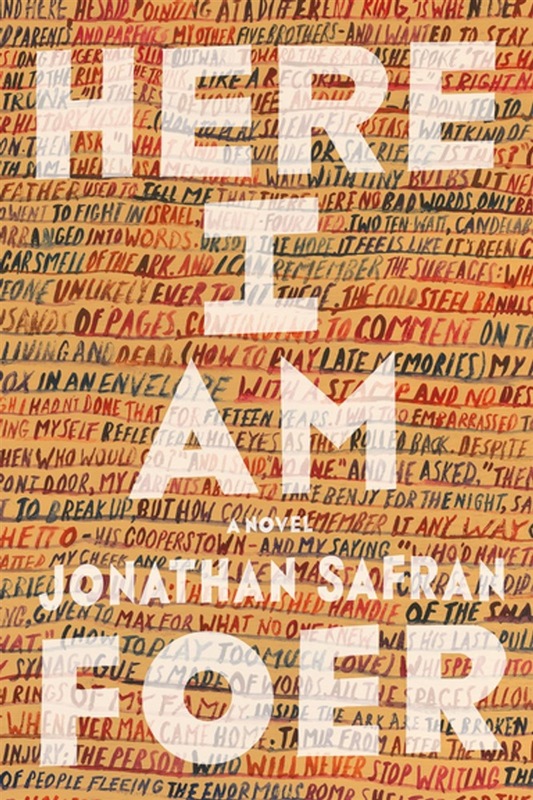 Acquista Here I Am in Epub: dopo aver letto l’ebook Here I Am di Jonathan Safran Foer ti invitiamo a lasciarci una Recensione qui sotto: sarà utile agli utenti che non abbiano ancora letto questo libro e che vogliano avere delle opinioni altrui. L’opinione su di un libro è molto soggettiva e per questo leggere eventuali recensioni negative non ci dovrà frenare dall’acquisto, anzi dovrà spingerci ad acquistare il libro in fretta per poter dire la nostra ed eventualmente smentire quanto commentato da altri, contribuendo ad arricchire più possibile i commenti e dare sempre più spunti di confronto al pubblico online.